Somfy, an established name for automated systems for the home, is also synonymous with reliability and high safety standards providing products that improve your lifestyle and make your “home sweet home” even sweeter. 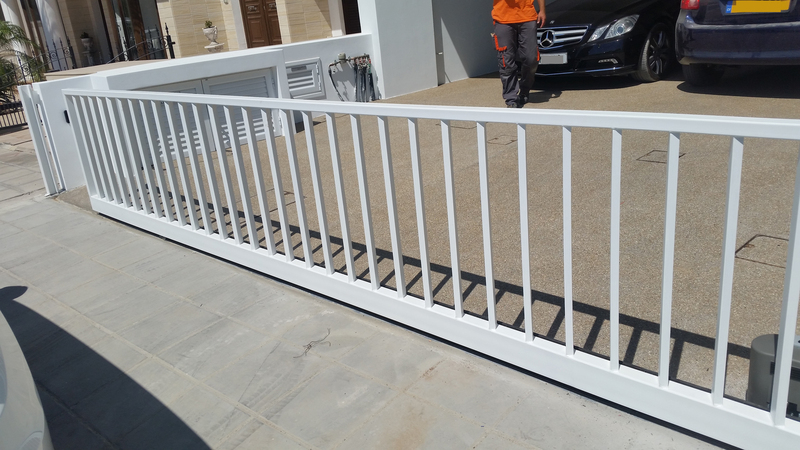 Marking a new collaboration with Handy’s Security Systems, a leader in innovative security solutions, homes across Cyprus can enjoy the protection and convenience of a Somfy motorized gate available from Handy’s Security Systems for only €650 inclusive of VAT and with a 3 year Guarantee. This exclusive package also consists of a top of the range security alarm system by Jablotron, one of the leading suppliers of alarm systems globally. The Economical Pack is ideal for families and is available from Handy’s Security Systems for only €699 inclusive of VAT and with a 2 year Guarantee! 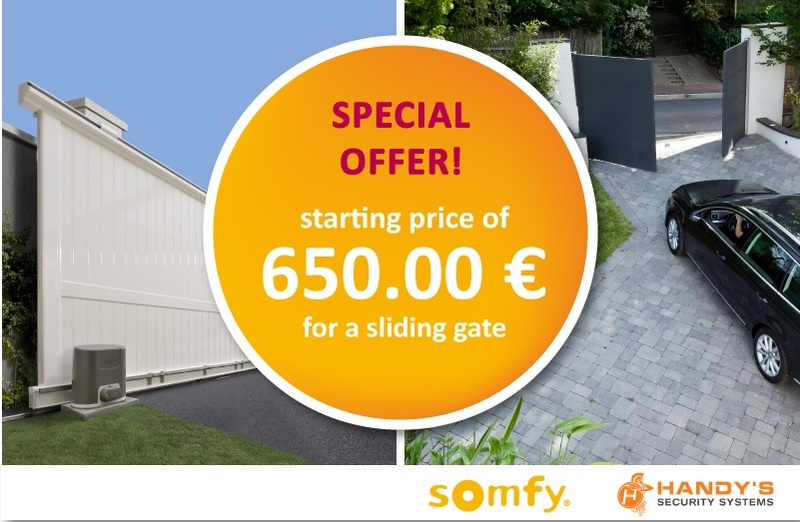 With Somfy motorized gates just one simple click on the remote control is enough for your gate to open in an instant. You can even control your garage lighting, making parking at night easy. Somfy motorized gates enjoy advantages such as obstacle detection when opening and closing, auto lock for security and more! For instance, the gate’s remote control boasts a tamperproof radio code which means only you can open your gate. It is also an ideal way to ensure your children don’t run onto the street and is a practical way of opening your gate without having to stop on the street. It also helps to keep intruders out. All Handy’s Security Systems and Somfy collaboration products are now available in Cyprus through Handy’s Security Systems new website which features an interactive flooplanner – the easiest way to visualize the right security solution for your home or office in a just a few clicks.